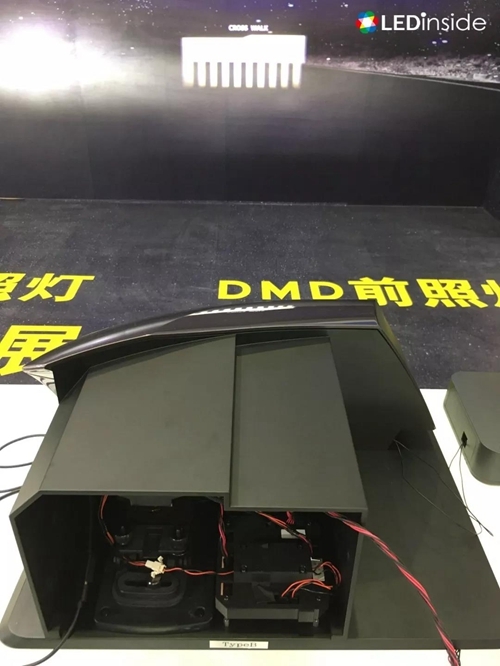 The 14th Auto Lamp Industry Development Forum and the 5th Shanghai International Auto Lamp Exhibition (ALE) was held in Shanghai Automobile Exhibition Center on March 21, 2019. 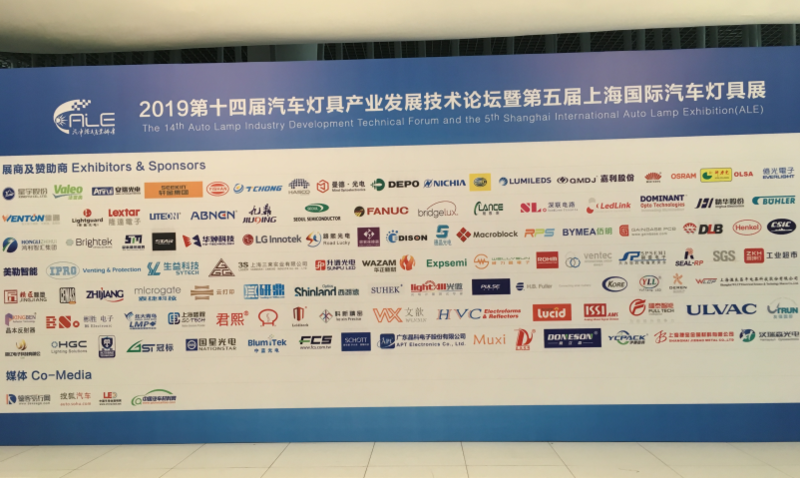 More than 100 companies relevant to auto lamp industry and an increasing number of visitors attended the event, showing the flourishment of the auto lamp industry. 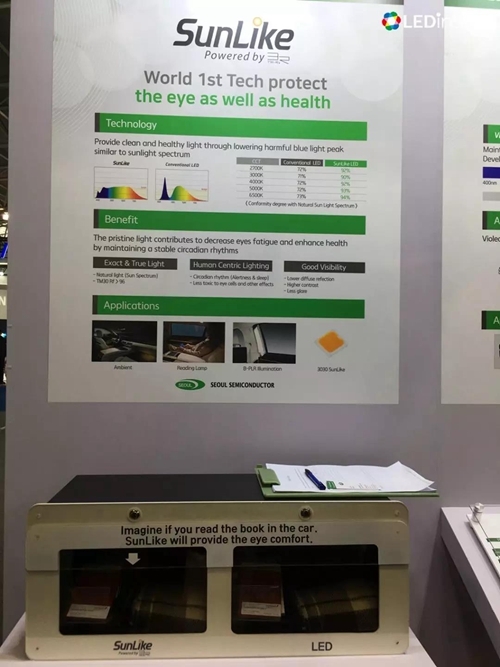 ALE 2019 continues the focus on the industrial chain of OE automotive lighting, covering fields including drive IC, package, lamp and more. 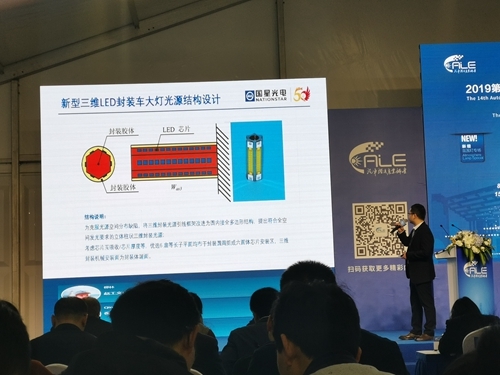 International enterprises like OSRAM, NICHIA, LUMILEDS, Seoul Semiconductor, DOMINANT, HELLA and VALEO, as well as Taiwan companies like EVERLIGHT, MACROBLOCK, LITE-ON and LEXTAR and Chinese manufacturers HONGLI, SUNPU LED, XINGYU, ANRUI, YULIANG LED and Zhejiang TIANCHONG were all presented at ALE 2019. 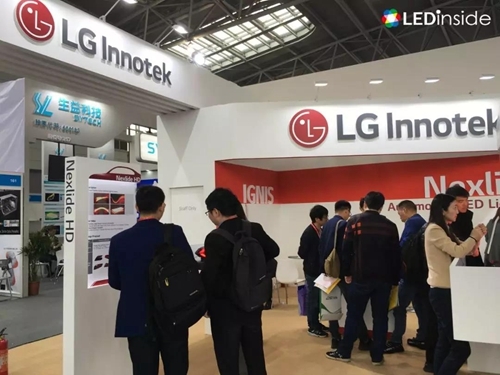 Noticeably, LG Innotek and BridgeLux appeared at the exhibition for the first time. 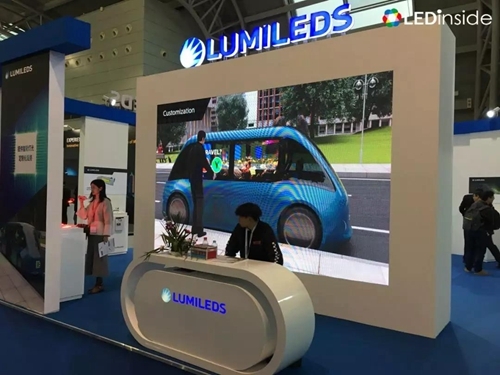 Although CREE did not present this year, the company’s obvious progresses in automotive lighting market in 2018 are still noticeable. Cree and Valeo have jointly developed the high definition (HD) LED array, which has been applied in Valeo Picture Beam Monolithic. 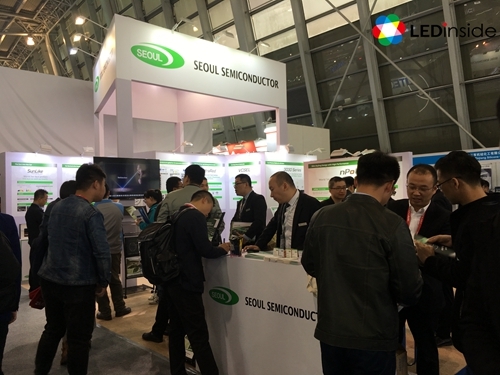 In comparison with the previous auto lamp exhibitions, ALE 219 gathered much more LED package manufacturers and more visitors. 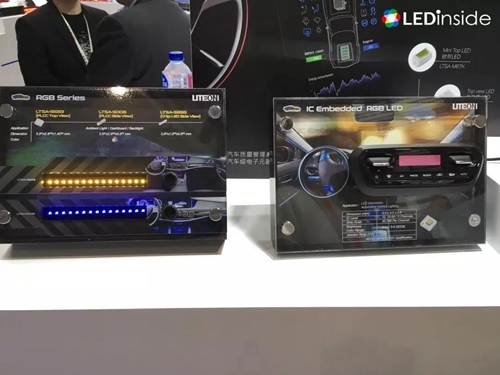 In addition, LED products were popular in both interior and exterior automotive lighting applications. 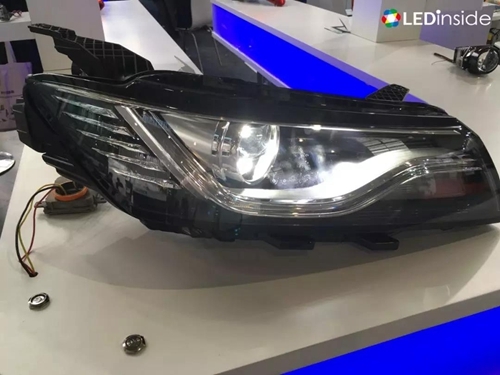 These represent the further increasing LED penetration rate in the automotive lighting market. 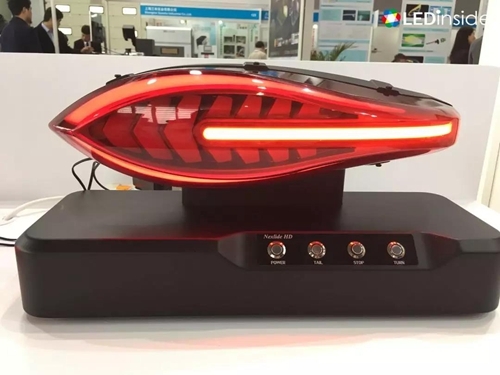 With remarked diversity and innovation, LED tail lamp is a hot spot of ALE 2019. Currently tail lamps are not regulated by any law and regulation, thus manufacturers has more flexibility to design tail lamps. 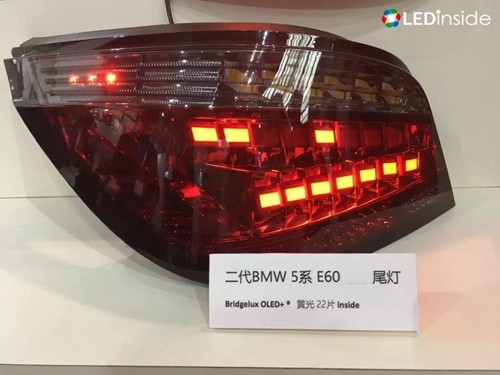 Beside, customers’ demand for additional value of vehicles gradually rises, which requires tail lamp products to be more differentiated and customized. 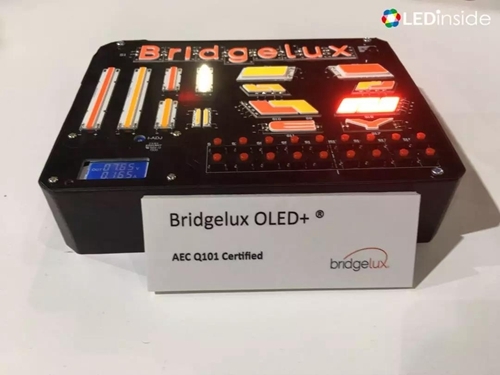 BridgeLux displayed OLED+ tail lamp LED that has entered the OE market. 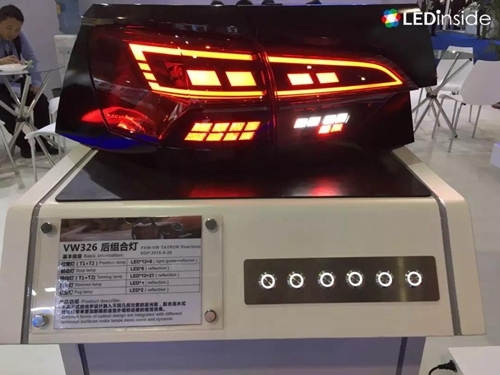 It will strive to improve the overall value of vehicles in the future by equipping the lamp with sensing component to combine cautionary effects like the sequentially illuminated LEDs and NEV charging status indication. 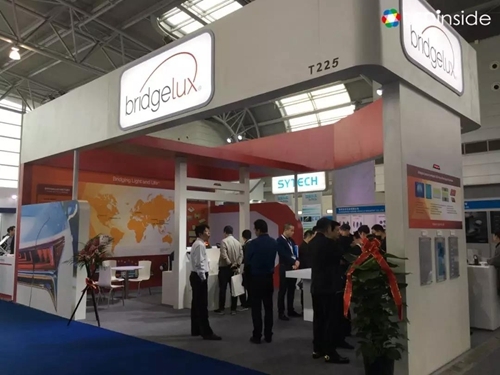 Besides, BridgeLux’s 1x3 head lamp LED has been mass producted in the OE market. 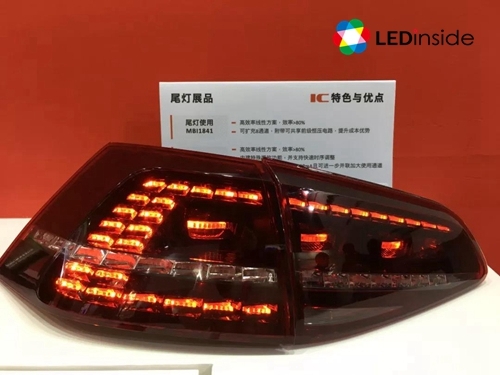 As a new participant, LG Innotek showed its characteristic rear lamp products. 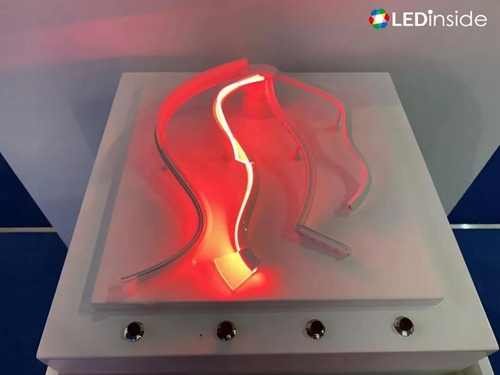 The lamps integrate LED with flexible light guide to achieve OLED effect, which vividly demonstrated the flexibility of rear lamp shape. 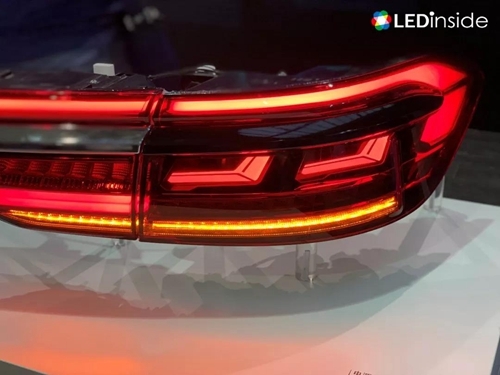 HELLA exhibited an actual OLED rear lamp that has been used in Audi A8, according to industry sources. 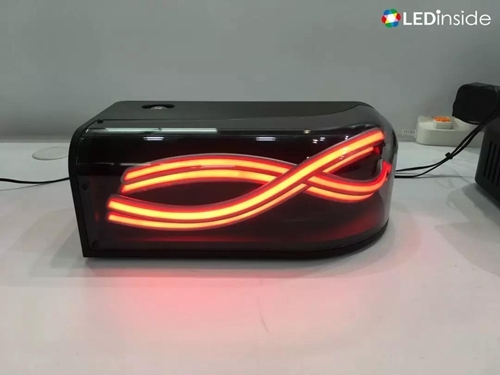 LUMILEDS displayed several new products with stylish tail lamp, LUXEON 3D. 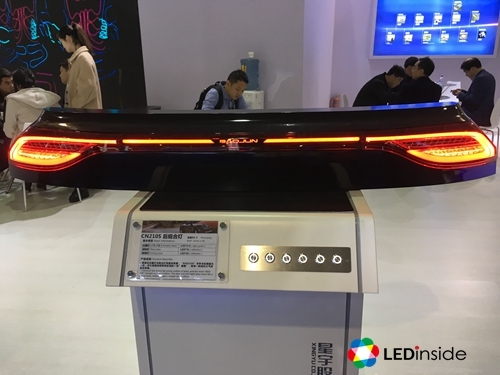 The tail lamp adopts a 3D LED solution that meets the expectation of the automobile companies for their future lamp design. It is characterized by unique style with differentiated value. In addition, LUMILEDS’ head lamp products tend to be more compact and flat in respect of appearance. The company also launched customized products. 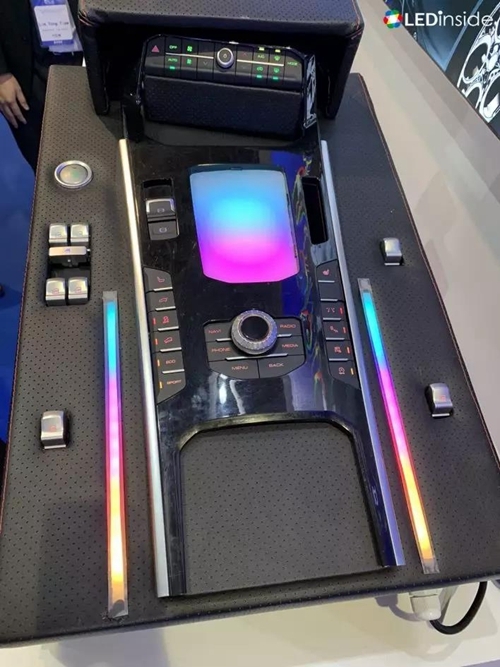 The popularized concept of NEV and autonomous car helps to push the intelligent trend in auto lamp products. 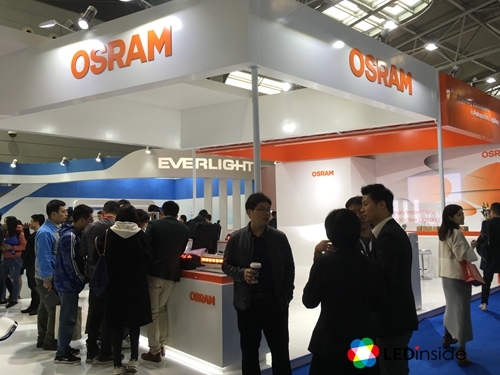 At ALE 2019, OSRAM, NICHIA, DOMINANT and LITE-ON all displayed intelligent auto lamp products. 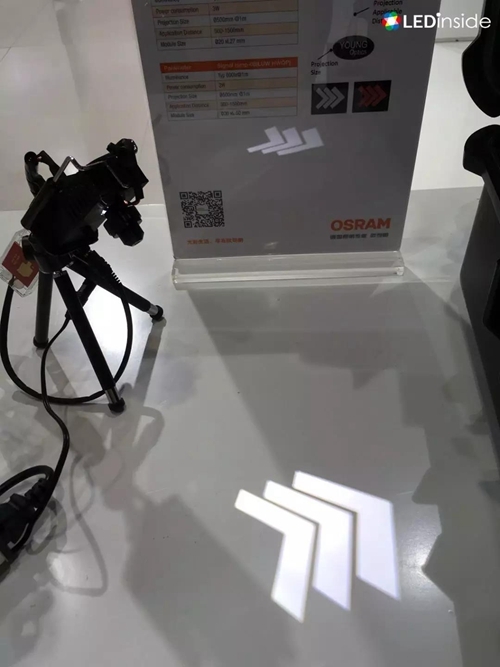 OSRAM and NICHIA addressed smart projection function of the lamps. 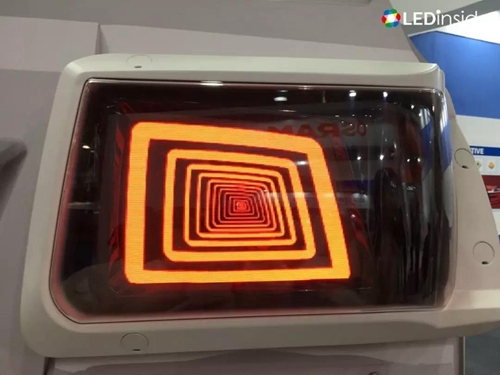 Meanwhile, DOMINANT and LITEON exhibited their RGB LED for ambient lamp with built-in drive IC. 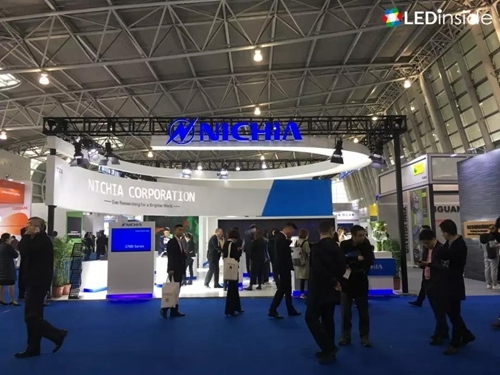 NICHIA introduced its DMD headlamp which is able to realize matrix lighting with additional projection display function by integrating only one LED with DMD system. Furthermore, its NCSX170D, a compact head lamp LED with ceramic package, can be used in high/low beam, DRL, direction and fog lamp and more. Fitted with projection function, OSRAM’s signal lamp can indicate direction on the ground. 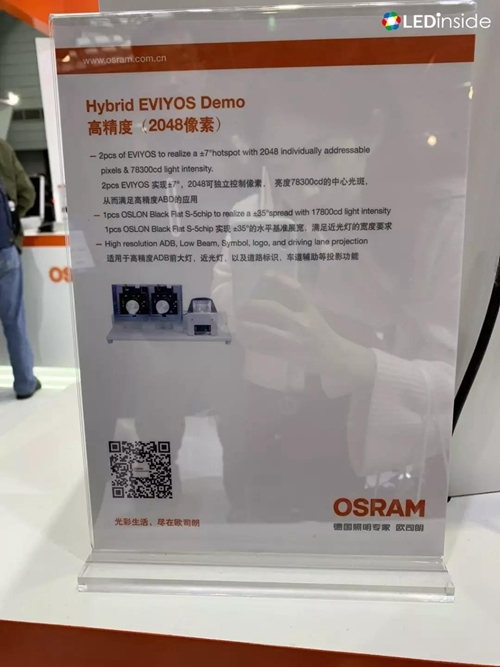 OSRAM also showcased its highly accurate product, Hybrid EYIYOS. The product comprising 2048 individually addressable pixels is be adopted to ADB, low beam, symbol, logo and driving lane projection. Ambient lighting is developing as a new wave in the interior lighting market for more comfortable passenger space. 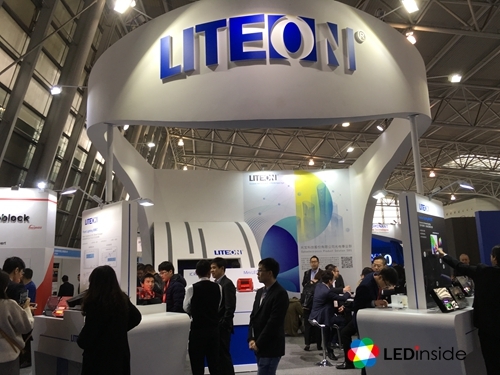 LITEON’s RGB ambient light with built-in IC features full color specification and customized brightness, showing exclusive interior atmosphere. 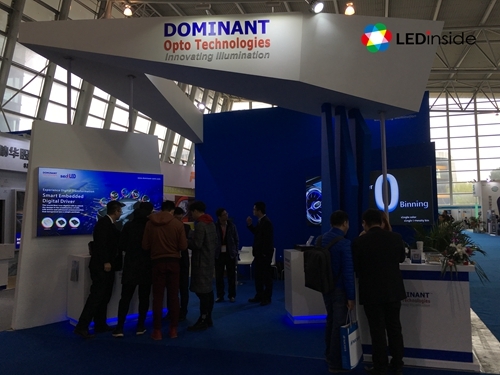 Dominant also displayed Smart RGB product with built-in IC, which is applicable to interior ambient light and exterior smart display. The latter provides intelligent solutions for future autonomous cars. 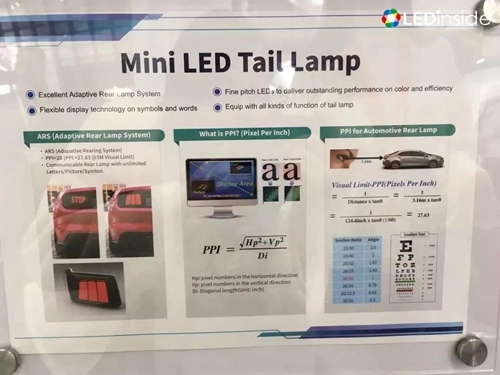 At the moment, Mini LED has not yet been adopted in automotive lighting; however, EVERLIGHT, LITEON and LEXTAR exhibited conceptual Mini LED products at ALE 2019. 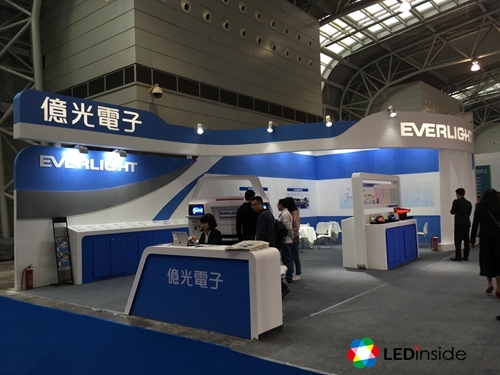 Featuring many functions, EVERLIGHT’s Mini LED tail lamp product is expected to put in actual use in 2020. 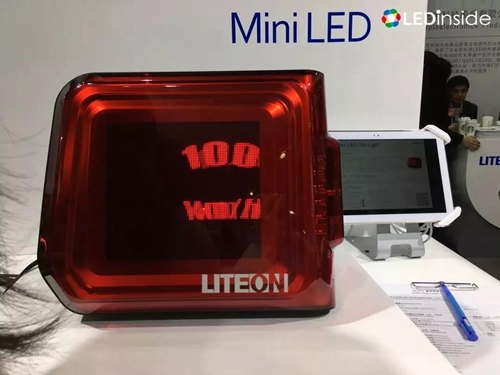 LITE-ON displayed Mini LED and Micro LED lighting source solution for innovative application. 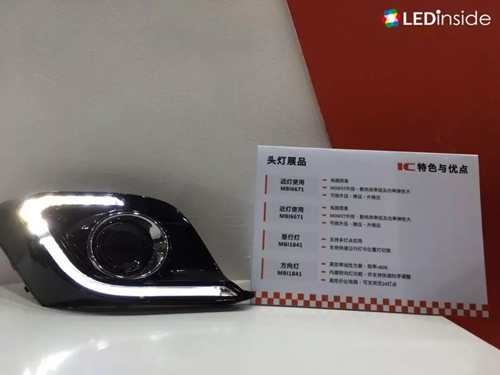 Its Mini LED matrix tail lamp module can convey more information aside from lighting function, which will further improve driving safety. In terms of interior decoration lighting, Seoul Semiconductor’s SunLike series products can be used for exterior lighting such as ambient lamp, reading lamp and B-PLR illumination. Furthermore, its nPola head lamp product has entered mass production phase. 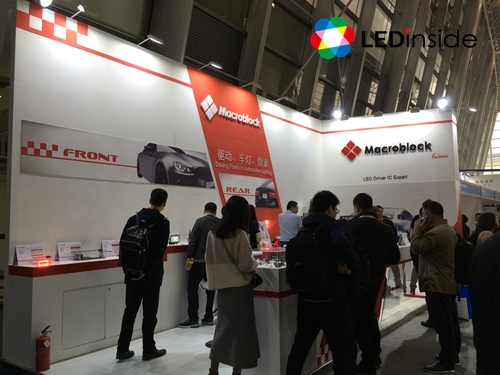 MACROBLOCK exhibited a series of auto lamps and automotive display drive IC solutions for head lamps, fog lights, rear mirror lights, tail lamps, sequentially illuminated LEDs, automotive HUDs and LED backlight panels for rear mirrors. Macroblock’s tail lamp uses innovative Display-Like MBI5353 which is a 48 channel constant current LED drive IC with many pixels. 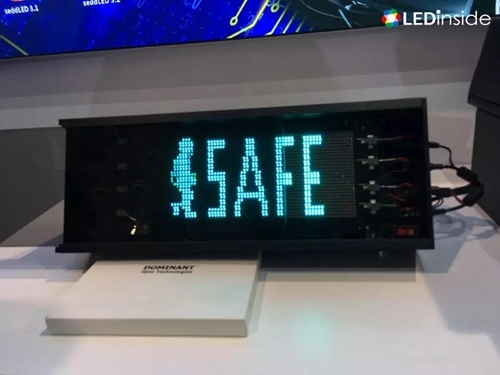 It can be applied to fine pitch LED module design, enabling users to design various dynamic images, displaying instant road message or providing emergency display. 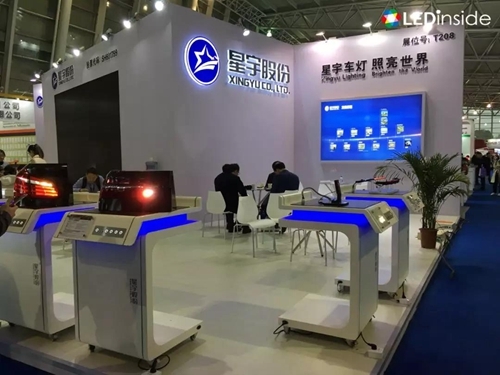 In addition to international enterprises, LEDinside also met a large number of Chinese manufacturers at ALE 2019. Local package manufacturers are committed to strengthening their own technical level and actively deploying OE automotive lighting market. 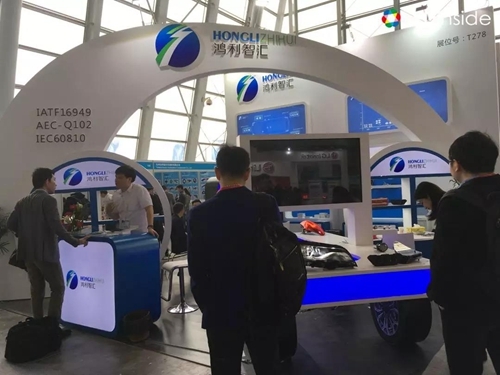 HONGLI displayed automotive LED package product which passed certification of IATF16949 and has passed the complete reliability test of AECQ-102&IEC60810. 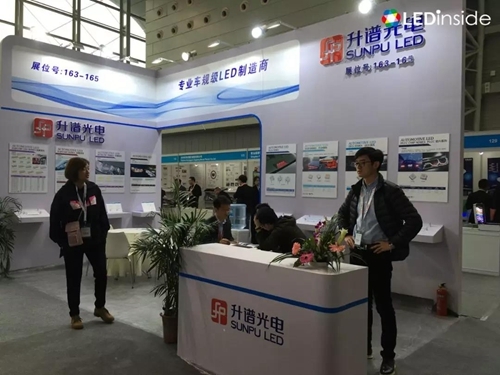 SUNPU LED exhibited flip chip LED series products with outstanding lighting and heat dissipation performance. They can be used in automotive head lamp. 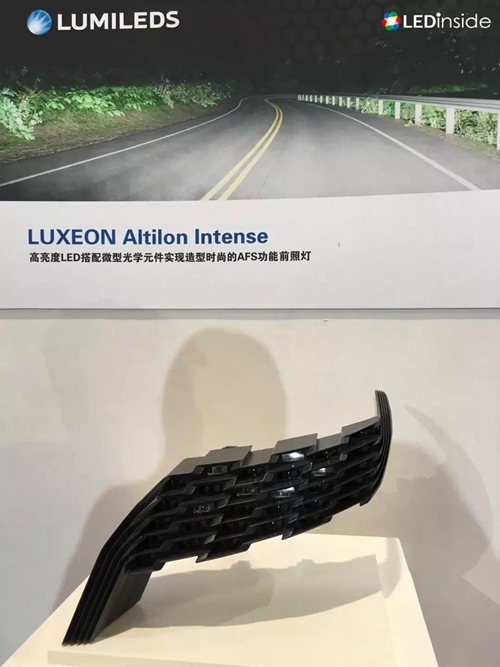 XINGYU showed several types of automotive rear lamps integrating different functions into one. 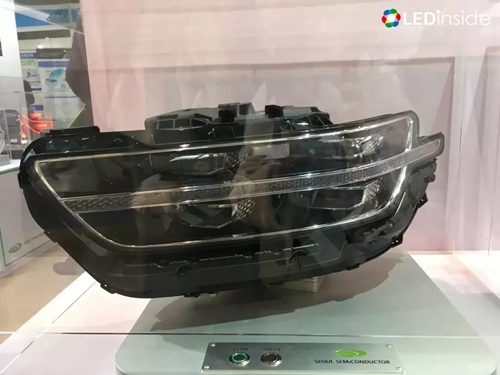 As a guest speaker of the forum, NATIONSTAR introduced its new 3D-packed LED automotive head lamp featuring advantages such as large beam angle, high integration density, good heat dissipation performance and high reliability. 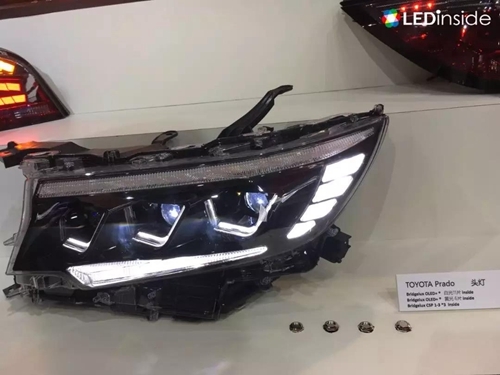 According to the latest report from LEDinside, titled “2018 Chinese Automotive Lighting Market Trend”, the global economy has been impacted by the trade dispute and the automobile market started to slow down. The year-round automobile sales in China also slightly decline. 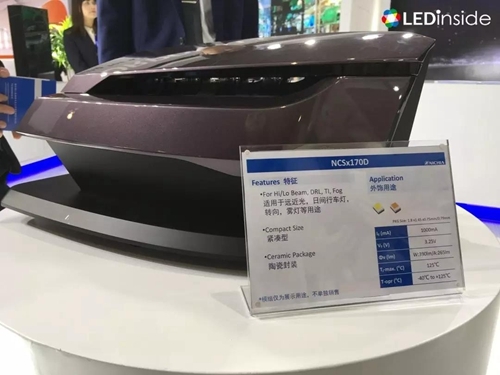 Despite the overall sluggish automotive market, NEV production and sales still grow rapidly, and the demand for luxury automobiles in the Chinese market also increase dramatically, which contribute to climbing LED penetration rate. Therefore, the automotive LED market value and volume will remain in an uptrend in the next few years. As to exterior lighting, the output value of head lamp LED is expected to increase in the next few years as the price of high-power LED falls and the market share rises gradually. 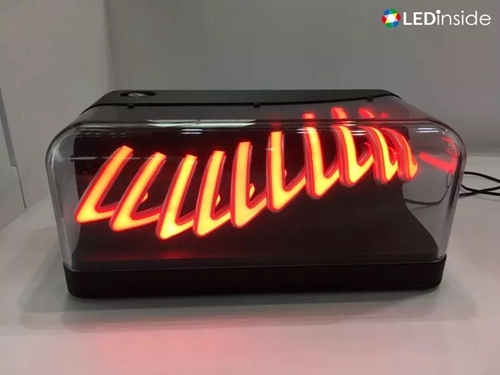 In addition, due to the use of sequential design, LED penetration rate and production value of direction light will increase promptly as well. For interior lighting, as automotive panel manufacturers expand capacity, product cost effectiveness will improve at a fast speed. 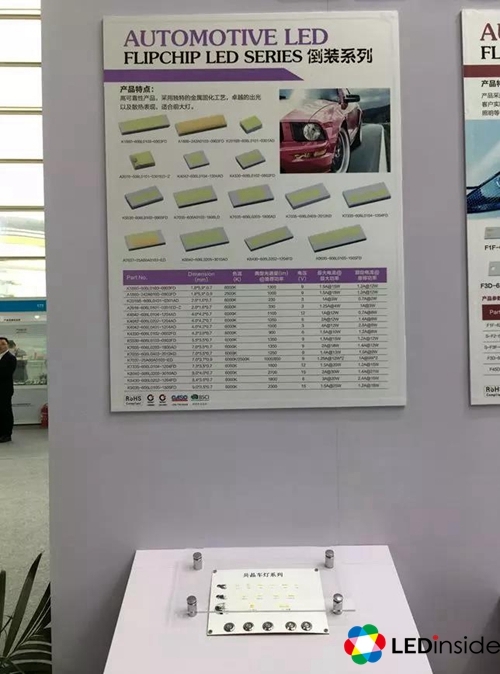 With limited cost price, panel becomes the product that can improve automotive supporting specification. As a result, it can be observed that interior panel size gets increasingly larger and the installation of finished automobiles continually go up. That means LED demand will keep growing. 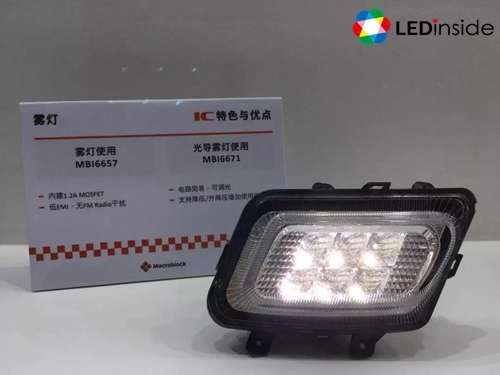 LEDinside is about to publish a global automotive LED market analysis report in May, 2019. 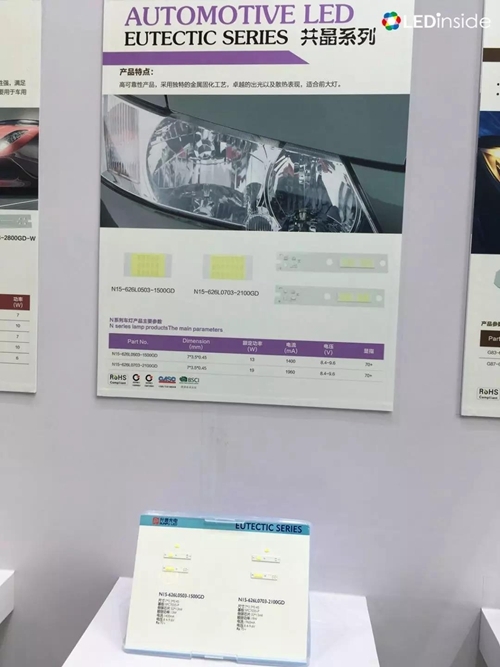 Aside from the update of global and regional production value, quantity, price and manufacturer news of automotive LED, the report will focus more on the development and analysis of product and technology, aiming to provide a more comprehensive understanding of automotive LED application market for the readers.